Anton Sculean is professor and chairman of the Department of Periodontology and currently the Executive Director of the School of Dental Medicine, University of Bern, Switzerland. He is the recipient of many research awards, among them the Anthony Rizzo Award of the Periodontal Research Group of the International Association for Dental Research (IADR), and the IADR/Straumann Award in Regenerative Periodontal Medicine. He has honorary doctorates (Dr. h.c.) from the Semmelweis University in Budapest, Hungary, and from the Victor Babes University in Timisoara, Romania. He has authored more than 280 publications in peer-reviewed journals, 16 chapters in periodontal textbooks and has delivered more than 350 lectures at national and international meetings. He is the editor of the book Periodontal Regenerative Therapy published by Quintessence and guest editor of the Periodontology 2000 Issue published in 2015 entitled “Wound Healing in Periodontology and Implantology”. He serves on the editorial board of more than 12 dental journals, among others, Journal of Dental Research, Journal of Clinical Periodontology, Clinical Oral Implants Research, Journal of Periodontal Research and Clinical Advances in Periodontics and is Associate Editor of Quintessence International, Clinical Oral Investigations, Section Editor of BMC Oral Health and Editor in Chief of Oral Health and Preventive Dentistry. 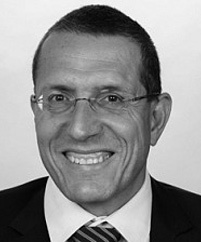 Professor Sculean served as president of the IADR Periodontal Research Group from 2009-2010, is past president of the Swiss Society of Periodontology and President Elect (2018-2019) of the European Federation of Periodontology (EFP). His research interests focus on periodontal wound healing, regenerative and plastic-esthetic periodontal therapy, use of antibiotics, antiseptics and novel approaches such as lasers and photodynamic therapy in the treatment of periodontal and peri-implant infections.